Nambudripad’s Allergy Elimination Techniques, also known as NAET, are a non-invasive, drug free, natural solution to eliminate allergies of all types and intensities using a blend of selective energy balancing, testing and treatment procedures from acupuncture/acupressure, allopathy, chiropractic, nutritional, and kinesiological disciplines of medicine. One allergen is treated at a time. If you are not severely immune deficient, you may need just one treatment to desensitize one allergen. A person with mild to moderate amount of allergies may take about 15-20 office visits to desensitize 15-20 food and environmental allergens. Basic essential nutrients are treated during the first few visits. Chemicals, environmental allergens, vaccinations, immunizations, etc. are treated after completing about ten basic essential nutrients. NAET can successfully eliminate adverse reactions to egg, milk, peanuts, penicillin, aspirin, mushrooms, shellfish, latex, grass, ragweed, flowers, perfume, animal dander, animal epithelial, make-up, chemicals, cigarette smoke, pathogens, heat, cold, other environmental agents. NAET was developed by Dr. Devi S. Nambudripad in November of 1983. From a Western medical perspective, allergy is an overreaction by the immune system. In NAET, allergies are viewed from a holistic perspective, based on Oriental Medical principles. An allergy is a condition of unusual sensitivity of one person to one or more substances that may be harmless to the majority of individuals. In the allergic person, the allergic substance (known as an allergen), is viewed by the brain as a threat to the body’s well-being. Therefore, for our purposes, an allergy is defined in terms of what a substance does to the energy flow in the body. Allergies are the result of energy imbalances in the body, leading to a diminished state of health in one or more organ systems. When contact is made with an allergen, it causes blockages in the energy pathways called meridians. Thought about in another way, it disrupts the normal flow of energy through the body’s electrical circuits. This energy blockage causes interference in communication between the brain and body via the nervous system. This blocked energy flow is the first step in a chain of events which can develop into an allergic response. How do I find and treat my allergies? Conventional Western medicine has several methods for testing allergies. These include the “Intra-dermal test,” “Patch test,” “Scratch test,” and various blood tests such as the “RAST test” and the “ELISA test.” These can identify dozens of allergens from one test or from one blood sample. The standard treatment is drug therapy using either antihistamines or steroids to control allergic symptoms. Unfortunately, this does not correct the underlying problem, and often the allergy sufferer experiences serious long term side effects. The most effective treatment option until now has been complete avoidance of the offending allergen(s). This can be difficult and in some cases impossible. Now, however, there is an alternative… NAET, Nambudripad’s Allergy Elimination Techniques. Knowledge of the brain, cranial nerves, spinal nerves and autonomic nervous system from Western medicine enlightens us about the body’s efficient multilevel communication network. Through this network of nerves, vital energy circulates through the body carrying negative and positive messages from the brain to each and every cell in the body and back to the brain. Knowledge of the nervous system, its origin, travel pathway, the organs and tissues that will benefit from its nerve energy supplies (target organs and tissues) and its destination, help us to understand the energy distribution of particular spinal nerves that emerge from the 31 pairs of spinal nerves. Kinesiology is the art and science of movement of the human body. Kinesiology is used in NAET to compare the strength and weakness of any muscle (also known as muscle response testing) of the body in the presence and absence of any substance. A measured weakness in the presence of a substance is due to the effect of an allergy to the item the person is touching. This simple method can be used to detect your allergens. Chiropractic technique helps us to detect the nerve energy blockage in a specific nerve energy pathway by detecting and isolating the exact nerve root being pinched. The exact vertebral level in relation to the pinched spinal nerve root helps us to trace the travel route, the destination and the target organs of that particular energy pathway. D. D. Palmer, considered the “Father of Chiropractic,” said, “too much or too little energy is disease.” A pinched nerve can cause disturbance in the energy flow. Chiropractic medicine postulates that a pinched nerve or any such disturbance in the energy flow can cause disease, revealing the importance of maintaining an uninterrupted flow of nerve energy. A pinched nerve or an obstruction in the energy flow is often the result of an allergy. Spinal manipulation at the specific vertebral level of the pinched nerve, can relieve the obstruction of the energy flow and help the body to arrive at a state of homeostasis. Yin-Yang theory from Oriental medical principles teaches the importance of maintaining homeostasis in the body. According to Oriental medical principles, “when the body is in perfect balance, no disease is possible”. Any disturbance in the homeostasis can cause disease. Any allergen capable of producing a weakening muscular effect in the body can cause disturbance in homeostasis. Hence, diseases can be prevented and cured by maintaining homeostasis. 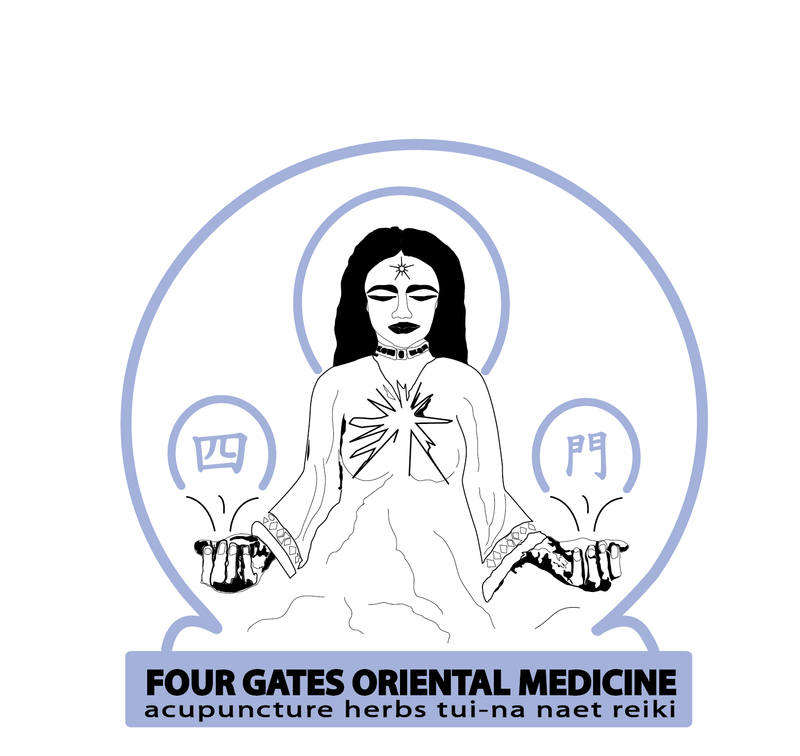 According to acupuncture theory, acupuncture and/or Acupressure at certain acupuncture points is capable of bringing the body to a state of homeostasis by removing the energy blockages from the energy pathways known as meridians. When the blockages are removed, energy can flow freely through the energy meridians, thus bringing the body in perfect balance. You are what you eat! The secret to good health is achieved through right nutrition. What is right nutrition? And how do you get it? When you can eat nutritious foods without discomfort and assimilate their nutrients, that food is said to be the right food. When you get indigestion, bloating, or other digestive troubles upon eating the food, that food is not helping you function normally. This is due to an allergy to the food. Different foods react differently in different people. What is food for some may be poison for others. You’ve probably heard the expression , “one man’s meat is another man’s poison.” So, it is very important to clear the allergy to the nutrients. Allergic people can tolerate food that is low in nutrition better than nutritious food. But upon clearing the allergy, you should try to eat more wholesome, nutritious foods. You should avoid refined, bleached food that is devoid of nutrients. Many people who are feeling poorly due to undiagnosed food allergies, may take vitamins or other supplements to increase their vitality after they get treated for the specific supplements. If they happen to be allergic to the nutritional supplements they are taking, this can actually make them feel worse. Only after clearing those allergies, can their bodies properly assimilate them. So nutritional assessment should be done periodically and if needed, appropriate supplements should be taken to receive faster results.